Menorah Lighting at Whole Foods Cteen - Sushi in the Sukkah MEGA CHALLAH BAKE! 2016 Lag BaOmer BBQ - 2016 Purim at the Circus Celebrating the Jewish Woman 2016 Cteen Kickoff! Camp Gan Israel Teen Leadership Club Musical Havdalah and Concert Inaugural Torah Writing Ceremony Purim Fiesta Jewish Unity at Folsom Zoo Loaves of Love Mega Challah Bake Torah Dedication Celebration and Parade CHS 2008-2013 Chanukah Wonderland! 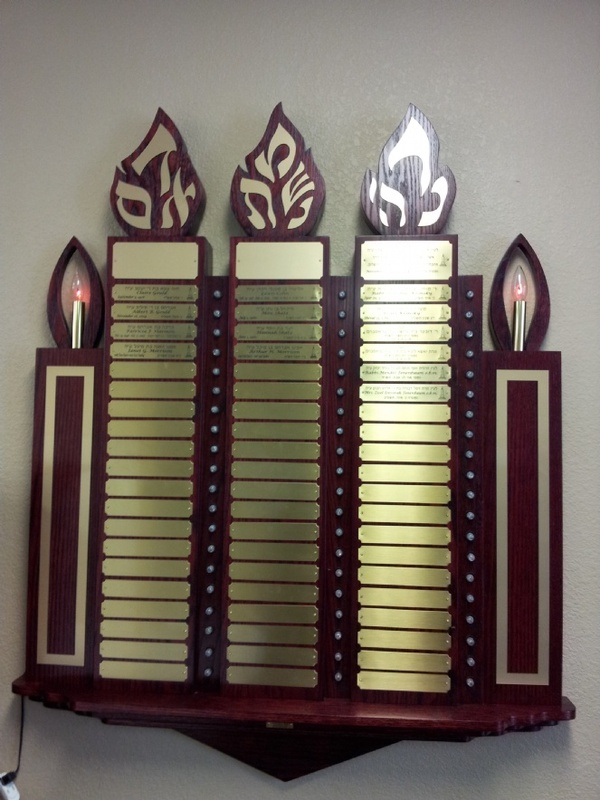 We are fortunate to have a beautiful Memorial Wall in our synagogue. The elegant memorial plaque dedication is a distinguished, reverent way of paying respect and tribute to the memories of our dear departed loved ones, showing as it does the prominent places they occupy in our place of worship and in our hearts. Plaques are now available for a $500 donation. The donations supports our important work in the community. Donations can be made using our plaque order form. For more information please contact Rabbi Yossi Grossbaum at 916 608 9811 x 101 or email rabbi@jewishfolsom.org. Join Goldie for a vibrant discussion on relevant Jewish teachings. Enjoy some inspiration, discussion and of course, tea (or coffee)!